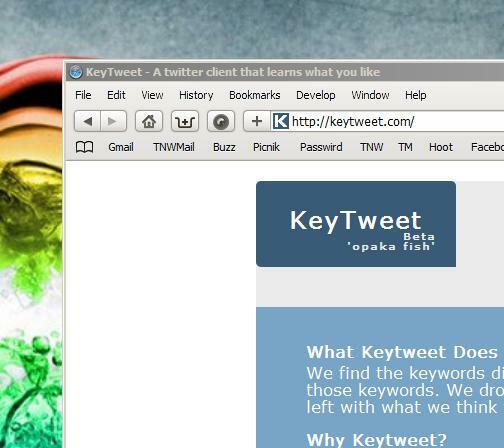 KeyTweet is an interesting way to bring relevance to your Twitter feed. 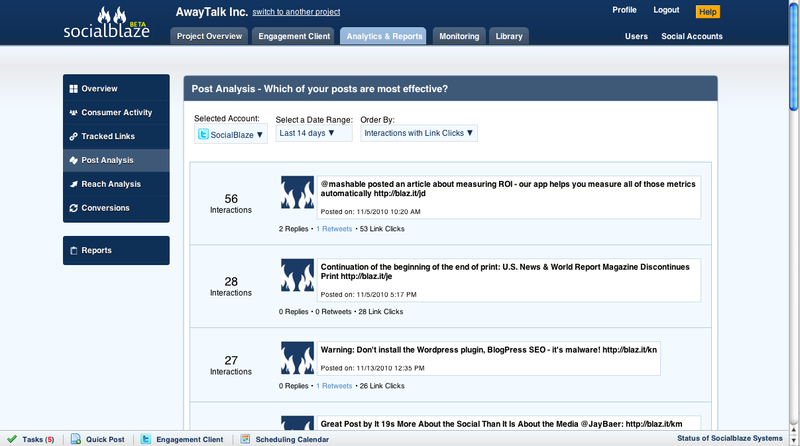 KeyTweet takes your Twitter stream and sorts it by relevant topics. Love It: An interesting look at what those you follow find Twitter-worthy. Hate It: No easy way to say it…the design isn’t great. KeyTweet is an interesting, if not terribly visually-appealing, application that will look at the timeline of those you follow, then sort that timeline by relevance. All you have to do is give the app access to your Twittter account via Oauth and you’ll be given a new timeline. 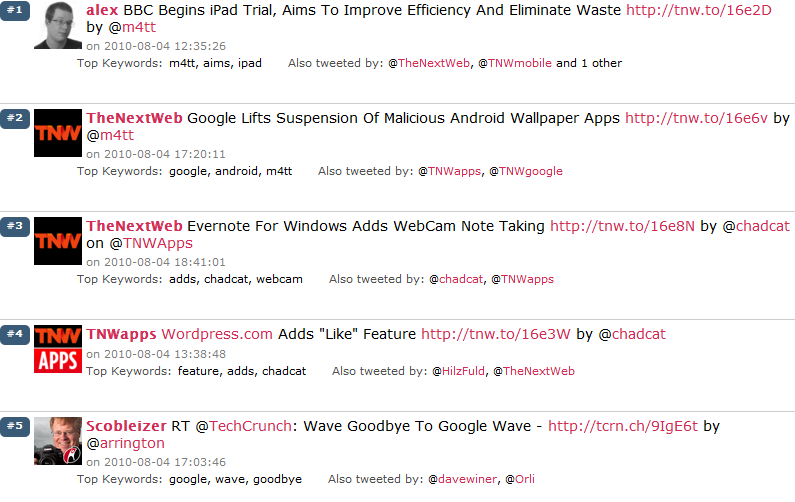 KeyTweet is a twitter application that displays your most relevant links from the people you follow. It’s like Pandora for Twitter. We know that feeds are full of great tweets. We also know that feeds are full of junk..noise if you will. We are working to reduce the signal to noise ratio. Better tweets less noise. Every tweet we show you is in your feed. They are just sorted by relevance now. It is, as I said, an interesting look into your Twitter feed. Some other features would be nice, as there isn’t much in the way of customization. If we could get that, plus a better overall look to the site, it would knock it up another point in the ratings. Read next: Seesmic for Android gets some minor updates.